Currently viewing the tag: "John Steinbeck"
Sept. 23, 1960 — Sag Harbor, N.Y. Early Friday morning John Steinbeck and his poodle Charley leave his summer home in Sag Harbor, Long Island, in the pickup truck-camper hybrid he named Rocinante after Don Quixote’s horse. 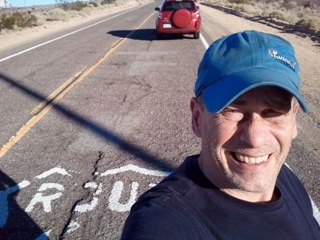 To get back in touch with America and regular Americans after living in ”the island” of New York, he plans to circle the country counterclockwise and stick to two-lane highways. He takes three ferries across Long Island Sound to New London, Conn., 36 miles away, then heads for his son’s boarding school in Deerfield, Massachusetts. 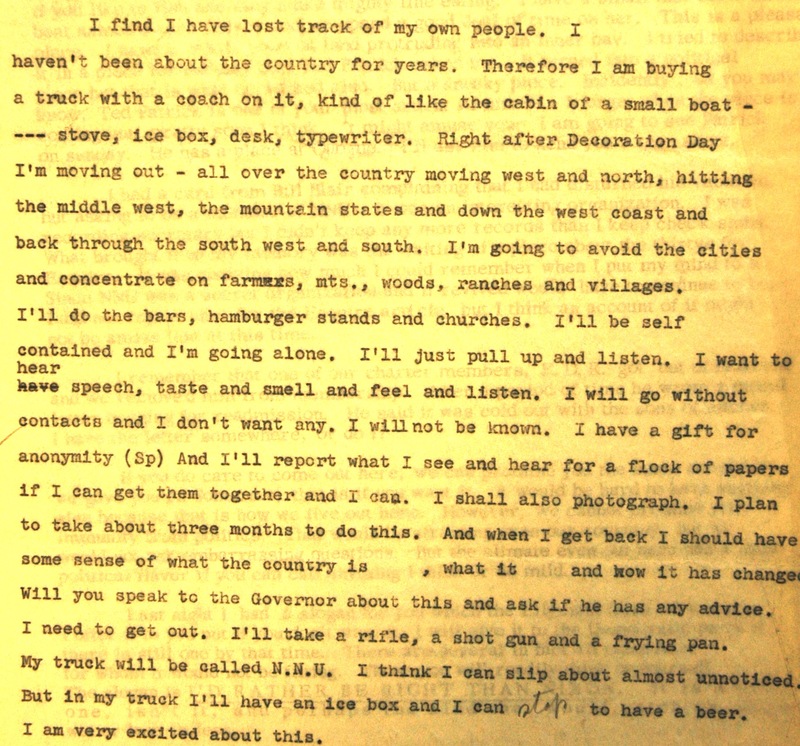 While doing research on Steinbeck’s exact 10,000-mile route around the USA I found a letter he wrote to an aide of Adlai Stevenson’s in the summer of 1960 describing how he hoped to travel on his upcoming trip. 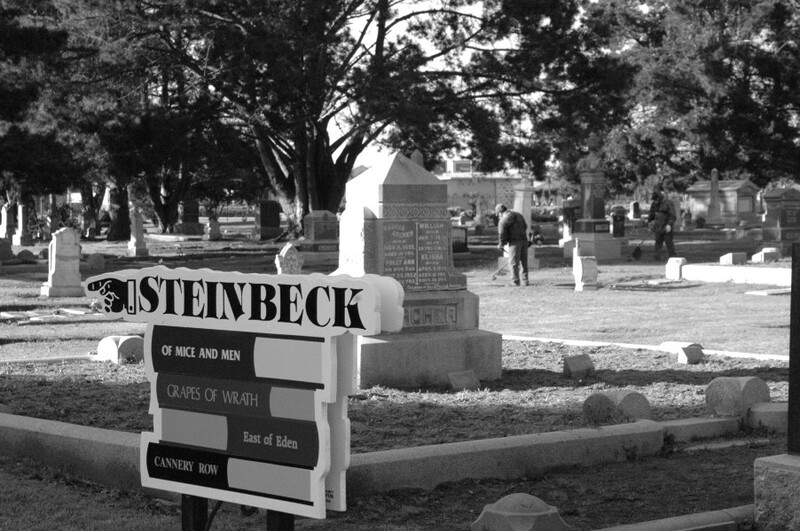 Steinbeck’s ambitious plans quickly fell apart. He actually did little of what he said he’d do on his journey, including traveling alone, but he had the right idea and it really didn’t matter. 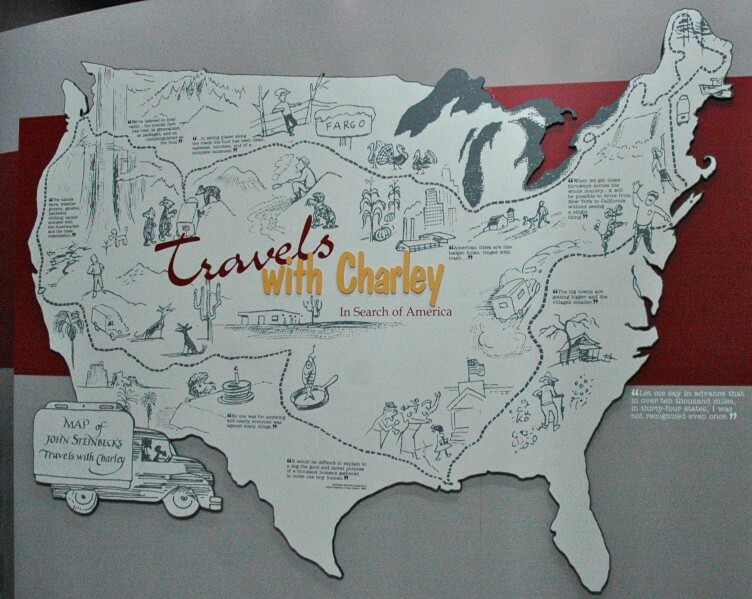 His beloved 1962 road book “Travels With Charley” was his only Number 1 New York Times best-seller (on the nonfiction list) and still sells around the world today. Exactly 50 years later, on Sept. 23, 2010, I left Steinbeck’s summer house on the eastern end of Long Island and followed his cold trail as faithfully as possible as a journalist. Steinbeck’s journey was much tougher and braver than mine. In 1960 America’s cars were like tanks and its two-lane highways were narrow, thick with traffic and deadly. 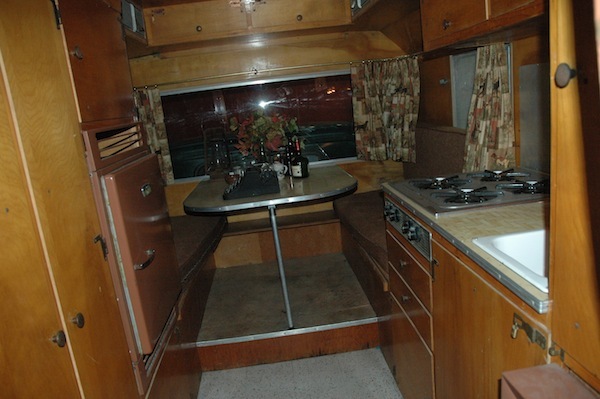 The world famous writer drove 10,000 hard and furious miles in his uncomfortable and primitive 1960 GMC pickup truck/camper. 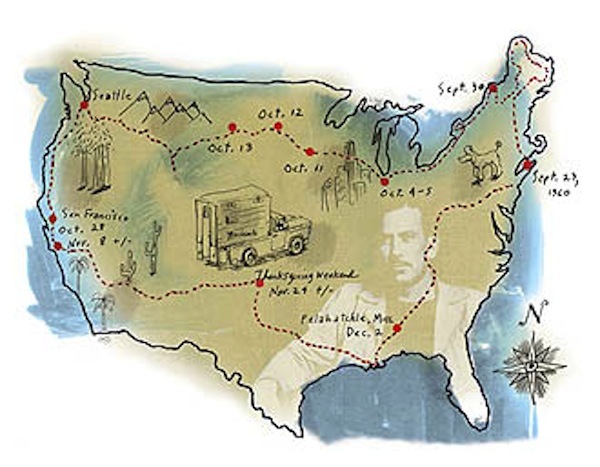 Touching the top of Maine and speeding across the top of the USA to Seattle, he drove back to New York City by way of California, Texas and New Orleans. His trip, which included long layovers on the West Coast and in Texas, took about 75 days. He took no notes or photos. 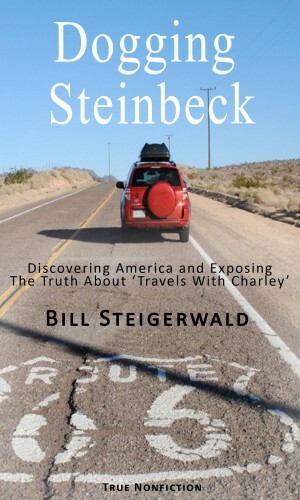 I had originally set out to retrace Steinbeck’s tire tracks as a serious act of journalism. I simply hoped to write a book comparing the America of 1960 he saw on “The Steinbeck Highway” with the America of 2010 I saw. My circumnavigation of the USA was even more fast and furious than his. As I traveled doglessly for 11,276 miles, I blogged to the Pittsburgh Post-Gazette web site, interviewed dozens of Americans and took thousands of photos. As I drove I wrote about 10 travel stories for the PG’s Sunday paper. 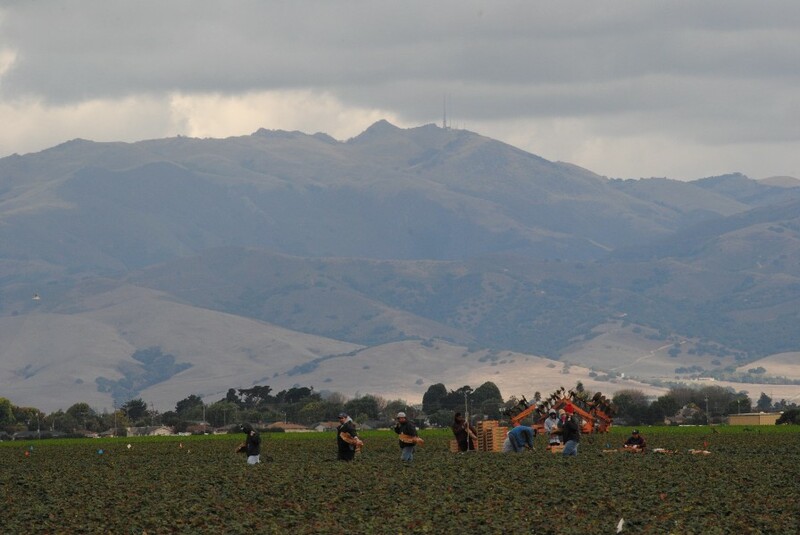 I got lucky and during my research on and off the road I discovered new or “forgotten” information about Steinbeck, his actual trip and the devious editing and publishing of his iconic book. My discoveries about the major discrepancies between Steinbeck’s actual trip and the one he described in “Charley” got me written up in the New York Times and ultimately changed the way Steinbeck’s classic will be read forever. I didn’t get a New York publishing deal — or a Hollywood movie deal. But I have no regrets. As I detail in my book “Dogging Steinbeck,” chasing Steinbeck’s ghost around the country for 43 days at age 63 was a trip of a lifetime. Here are two great reviews of “DS” from Robert Dean Laurie in The Daily Caller and Shawn Macomber in the Weekly Standard. This fine illustration by Stacey Innerst accurately shows where Steinbeck and Charley were on various dates in the fall of 1960. Below are excerpts from my book “Dogging Steinbeck” and a timeline of where I believe John Steinbeck was each day during his trip in the fall of 1960. Many photos have video links. 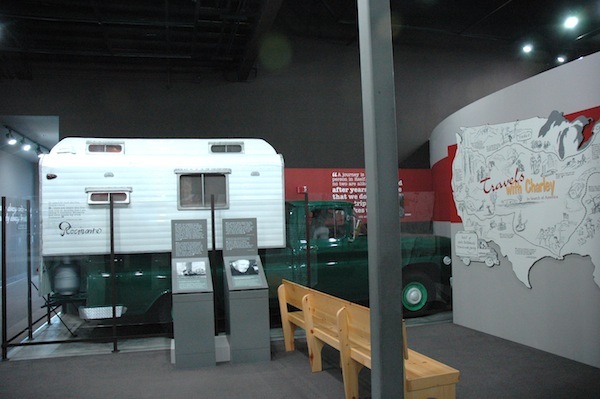 It’s based on “Travels With Charley,” the unedited first draft of the book, letters Steinbeck wrote from the road to his wife Elaine and others, biographies of Steinbeck, newspaper articles, interviews and best-guesses. It’s as accurate as I could make it.